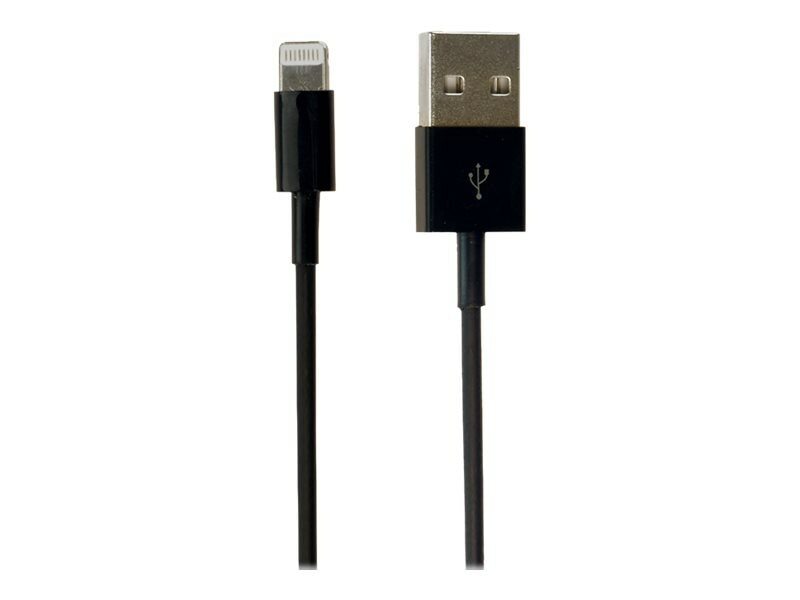 This Lightning to USB Black Charge & Sync cable helps you make a reliable and affordable connection to a wide variety of Apple mobile iDevices. With full compatibility with iOS 7 and later, you'll enjoy error-free use while connecting to a Mac or PC's USB port for charging and data syncing. At ten inches in length, this handy cable offers placement flexibility. Don't get caught not being able to charge in the car or office... this cable is the affordable spare cable solution.